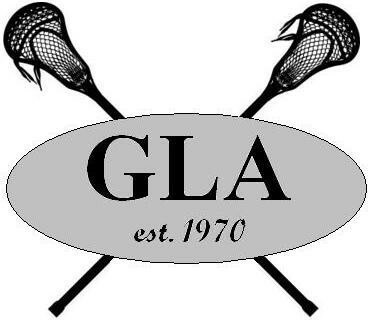 Updated Monday September 4, 2017 by Gloucester Lacrosse Association. The 2017 GLA AGM was held on August 31st, 2017. A new Board of Directors was elected, two constitutional amendments were passed and four volunteer awards handed out. Mike is a long time member of our club, and past president. This season Mike, as a non-parent volunteer, coordinated the GLA Girls Interlocking House League Program. In addition, he organized the Girls Summer Shootout tournament (June 9-11) here in Ottawa for 26 teams from Ontario and Nova Scotia. The GLA Girls program has continuted to grow (20% increase year-over-year) under Mike's guidance and leadership. In addition to his GLA volunteer role, Mike also volunteered his time as the Zone 5 director, acting as the OLA's representative in Eastern Ontario and helping all of the clubs in our area manage teh 2017 season. Thank you Mike for all that you do for the GLA and our kids! Sacha has been a long-time GLA house league coach. This past season Sacha coached the GLA Midget boys house league team and managed to keep the energy up and maintain player engagement throughout the season (very tough to do with a Midget boys house league team!) and was rewarded by coaching the team to the championship in the inaugural GLA-Nepean Midget interlocking house league program. Sacha has consistently brought structure and reliability to his teams in his tenure as a GLA coach. Thank you Sacha for your dedication and efforts in providing a place for the boys to continue to play lacrosse! Leasa is a non-parent coach who has helped grow and teach girls lacrosse in our community for the past two seasons. Leasa demonstrated great knowledge of her players and the players in the league, successfully getting her team to buy into defense and discipline. The team was rewarded with a silver medal in the Girls Bantam-Midget combined interlock division. Thank you Leasa for your dedication and efforts in growing the girls program, and elevating the lacrosse knowledge of girls in our club! The GLA is fortunate to have had Mark Allen and Sean Sommers volunteering as coaches in our club for a number of years. They prepare meticulously for practices and games more than any other coaches in recent memory and the kids are the main benefactors. This season Mark and Sean coached the Bantam 2 team, winning gold at the Simcoe Father's Day tournament, silver at the Ray Broadworth Memorial tournament, and silver in the Zone 5 Bantam D Championship. Their efforts in recruiting and developing players this season, and in past seasons, have helped to raise the overall talent level of our competitive program in the 2003-05 age group. Their efforts are a huge part of why our Bantam 1 team had six righties instead of four, and why there are four Bantam competitive goalies instead of two. Thank you Mark and Sean for your dedication to your players and your efforts in growing the GLA boys competitive program and caliber of play! Two constitutional amendments were passed by the GLA membership at the 2017 GLA AGM. The approved ammendments are attached in the PDF document below.